Apple confirmed that 5s cases will also fit on the new iPhone SE, but that doesn't mean you can't buy a case designed specifically for the new 4-inch phone. How appropriate that Apple kicked off its March event talking about recycling. Turns out that if you’re planning on getting the just-announced iPhone SE, you’ll be able to recycle those old 5s-era phone cases. After the event, Apple confirmed to 9to5Mac that the iPhone SE and the 5s are so identical in terms of hardware design, that they will fit in the same cases. The Apple Store has been updated to add a designation for cases and other accessories compatible with the iPhone 5/5s/SE. This section now includes the Decoded Leather Wallet Case ($60), the Tech21 Evo Mesh Case ($35), and the Twelve South BookBook Case ($60). And it’s not just phone cases that can be interchanged between the 5s and SE. Battery packs built for one can fit both phones, as well, including the Mophie Juice Pack Air ($100) and the Boostcase Hybrid Power Case ($100). In addition, Apple has also created a brand-new leather case designed specifically to accompany the new 4-inch iPhone SE. This new case costs $39 and it comes in just two colors: black and midnight blue. Apple’s leather case for the 6s line costs $45, but you can get it in nine different colors. If you want to pick an SE case with the same wide color range, case-maker Patchworks has confirmed that its Colorant C1 Snap Case line will also fit the iPhone SE. 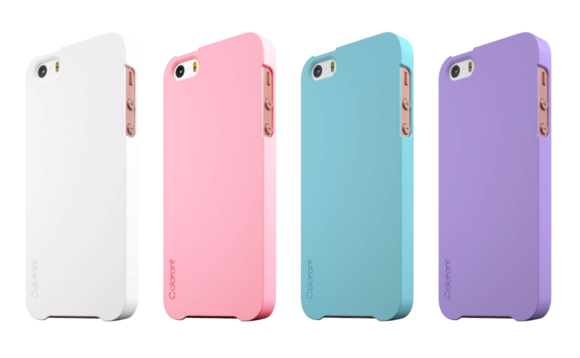 These polycarbonate cases have a rubber coat and come in 12 different colors. Long past the 5s heyday, currently these C1 cases are heavily discounted, so get them now for only $6.60 before Patchworks brings up the price back to $22 to meet recent SE demand. Even though you can use your old 5s case on the new iPhone SE, it’s always exciting to outfit a new phone with a new case. Thankfully, we’ve already seen a few cases out there designed specifically for the iPhone SE. 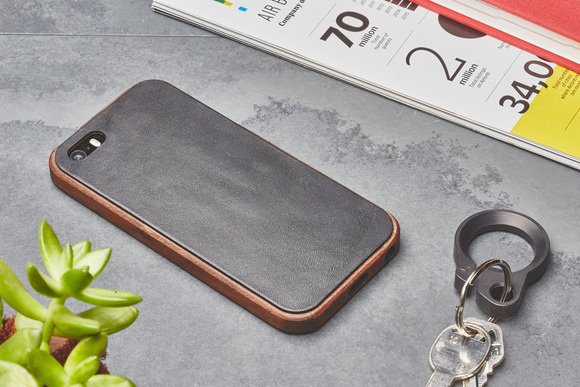 Today, Portland-based case-maker Grovemade unveiled its new wood and leather accessories for the iPhone SE. Grovemade’s iPhone cases come in three styles. There’s an all-wood case made from Maple or Walnut ($79), a wood frame with a premium leather back plate in two colors ($71), and just the wooden bumper case ($39). You can pre-order the cases now with introductory discounts, and they will be shipped out in two to four weeks. In conjunction with the launch of the iPhone SE, popular case-maker X-Doria has also released brand-new collections designed with the 4-inch iPhone in mind. Bump Gear Plus ($25) is made from aluminum and comes in the exact four colors that match the new iPhone: silver, gold, space gray, and rose gold. The Engage Folio ($30) has a clear polycarbonate back and a "leather-like" front cover in black or white where you can store your ID and credit cards. The Scene cases ($20) are also made from polycarbonate but they have a rubber bumper in four different colors for additional protection. At first glance, it may seem like X-Doria has simply recycled its case lines from the 5s, but the company assures us that these cases are completely brand-new. In fact, here are X-Doria's outdated 5s cases. An old case by another name? Other case-makers seem to be selling their old 5s cases but with a new SE-friendly name. Supcase, for example, has two listings for its water-resistant case ($20), one for the 5s and one for the SE. The product pages use the same photo, and thankfully, both are listed at the same price. 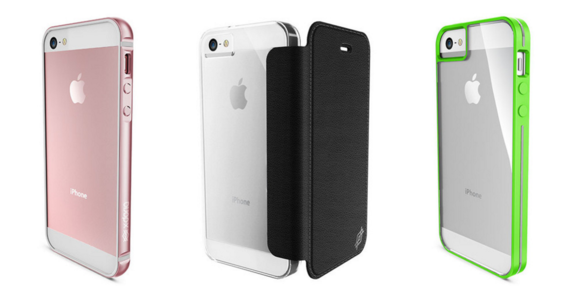 Supcase does a similar double-listing for its Unicorn Beetle Pro case ($25). Heavy-duty case-maker Spigen has also updated the name of its 5s cases to indicate that they are compatible with iPhone SE. 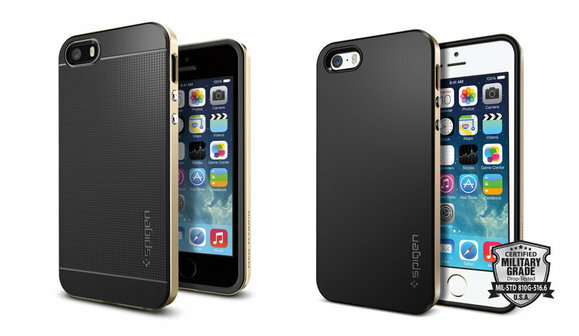 Spigen's Tough Armor case ($30) for the SE looks near-identical to its 5s counterpart. The SE case does come in more colors, though, including rose gold. Spigen is currently selling both SE and 5s versions of the Tough Armor case for the same price, and the website does state that the new SE case is compatible with the 5/5s. Other Spigen cases – like the Neo Hybrid ($30) – look like they have been freshened up a bit, and there are more colors available, as well. But it's not all recycled. Spigen does have a few new cases for the SE that were never available for the previous 5s model, only for the iPhone 6 and later. One of the most eye-catching cases Spigen is selling for the SE is Style Armor ($35) in two very-timely colors: mint and rose gold.